For the first time, you can pair your tablet to the Weslo Cadence G 5.9i and access iFit Ready technology. That means Google Maps workouts, comprehensive tracking, and top trainer workouts. Get smooth power with the 2.25 horsepower motor every time you work out. You'll love the quiet deck that takes you up to 10 mph. And the manual 2-position incline helps you take your intensity up a notch. Store: great_2_go Condition: Brand New Price: $372.56 Total Price: $372.56 Buy It from great_2_go Want it delivered by Monday, February 12? 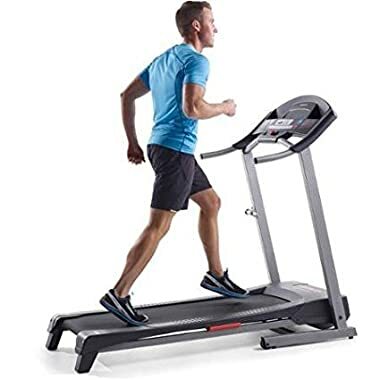 Store: fitnessauction_parts Condition: New (Open Box, or other) Price: $279.99 Total Price: $279.99 Buy It from fitnessauction_parts No returns. Store: Posh Products USA Condition: Brand New Price: $351.04 Total Price: $351.04 Buy It from Posh Products USA Want it delivered by Monday, February 12? Store: konimpo Condition: Brand New Price: $365.00 Total Price: $365.00 Buy It from konimpo Want it delivered by Wednesday, February 14? Store: Freedom Sales L.L.C. Condition: Brand New Price: $372.27 Total Price: $372.27 Buy It from Freedom Sales L.L.C. Store: Ashland Pacific, LLC Condition: Brand New Price: $351.04 Total Price: $351.04 Buy It from Ashland Pacific, LLC Want it delivered by Tuesday, February 13? Store: JR's Better Deals Condition: Brand New Price: $354.53 Total Price: $354.53 Buy It from JR's Better Deals Want it delivered by Friday, February 9?